Despite producing more millionaires than any other country last year, the ex-British colony also shares the more dubious accolade of ‘widest poverty gap in Asia’. According to the UN Gini Coefficient, which measures income inequality, Hong Kong society rates as the most unequal amongst all highly developed economies. The wealthiest 10 per cent of the populace control more than a third of the city’s income, whilst the bottom 10 per cent share only 2 per cent. It is a city where an estimated 5000 people live in 15sq foot squalid ‘cage homes’ – tiny shoebox ‘coffins’ subdivided with wire mesh and often shared between more than a dozen other occupants. Not only does Kowloon boast one of the highest population densities in the world but the property rental market is also the world’s most expensive, with the poorest actually paying more per square foot than those in lavish apartments. It is a city which features the world’s highest per capita ownership of Rolls-Royces – yet luxury cars are almost as common sight as the elderly people forced to rummage through bins in search of items they can sell to recyclers. With little in the way of welfare, these workers, mostly old women, have a median income of just US$40 per month and often labour throughout the intense summer heat. 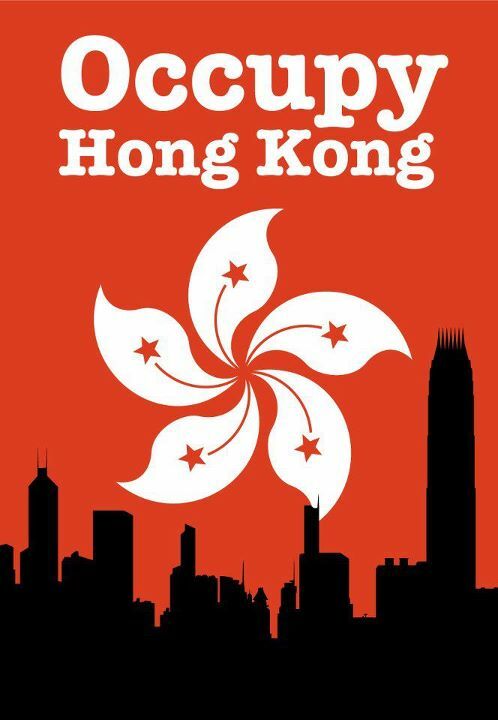 Although many Hong Kongers have prospered in recent years, it is these ongoing injustices and the widening rich-poor gap that motivated many to hit the streets in solidarity with the global ‘Occupy’ movement. Making headlines around the world, and dominating local news reports, gatherings have been attended by individuals, unions, political parties and activist groups. Protesters – many of them expatriates – have since moved their tents, placards and resource centers to the HSBC headquarters. Known to most as simply ‘The Bank’, HSBC has arguably profited from the international financial turmoil. In 2009 G20 nations met to name and shame tax havens that did not comply with international standards of transparency. The sanctions and action plan were flimsy at best, yet Chinese premier Hu Jintao managed to persuade his French counterpart, Nicolas Sarkozy, to exempt China’s autonomous Special Administrative Regions (SARs) from the blacklist. Since then, companies have flocked to the Asian banking hub in order to escape tax obligations at home. The Tax Justice Network, a British NGO which opposes tax loopholes and campaigns for a level playing field, ranked the territory towards the top of its secrecy scale with a score of 73 out of a potential 100. In its ‘Mapping Financial Secrecy’ investigation, it reported that the SAR must do more to “deter illicit financial flows… originating from tax evasion, aggressive tax avoidance practices, corrupt practices and criminal activities”. 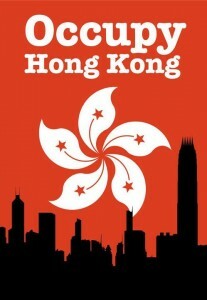 Hong Kong remains a microcosm for the problems highlighted by the wider ‘Occupy’ movement. Against a backdrop of an ever-widening poverty gap, there has been little by way of reform or new regulation against the sector responsible for the meltdown. The city is almost solely reliant on the financial industry, and – although it has fared better than most since the 2008 crash – the rich have continued to grow wealthier and the poor have become further impoverished. If it is true, as analysts predict, that the world now stands on another precipice overlooking a second deep recession, the movement will undoubtedly be galvanised both here and abroad. At least for the poor of Hong Kong, the hope which this new wave of resistance offers could not be more well-timed.